Makampom, or Phyllanthus embilica, has been used extensively in Thai traditional medicine to treat cough. It is also one of the three ingredients in Triphala recipe. Triphala means three fruits: Terminalia chebula, Terminalia bellirica, and Phyllanthus embilica. Triphala is used to adjust the balance in the body during different seasons. It is a safe traditional medicine without side effects. 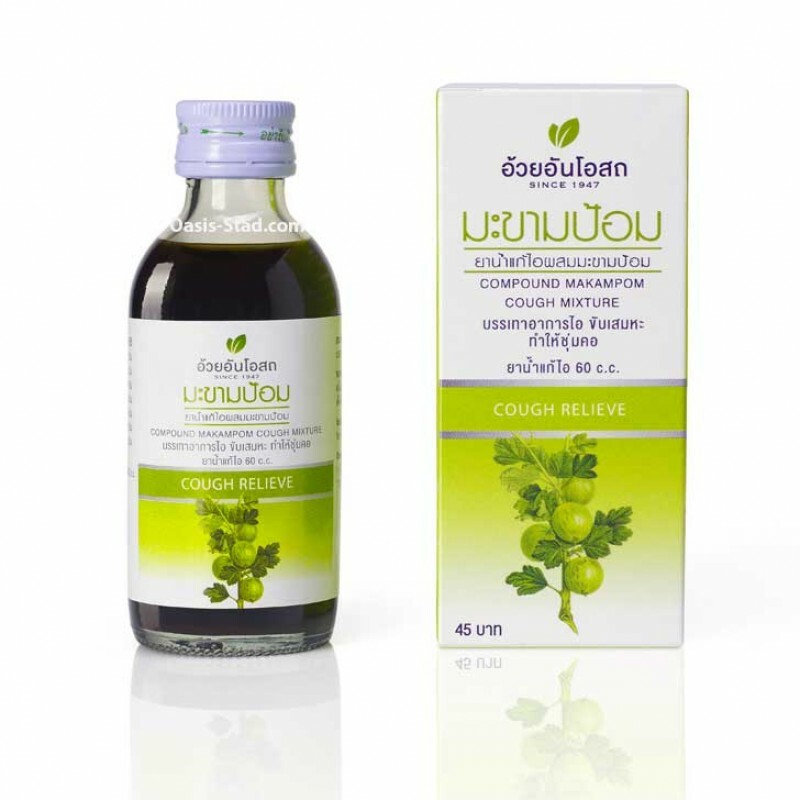 Our cough mixture is effective in treating cough, sore throat, and expectorant. 1-2 teaspoons 3-4 times daily, or when symptoms occur. Terminalia chebula, Terminalia bellirica, Phyllanthus embilica, and Solanum trilobatum.